Replacement trapeze rings manufactured from steelcore combination rope supplied with 4 types of end fittings. Stainless steel shackle for connection onto an existing eye. 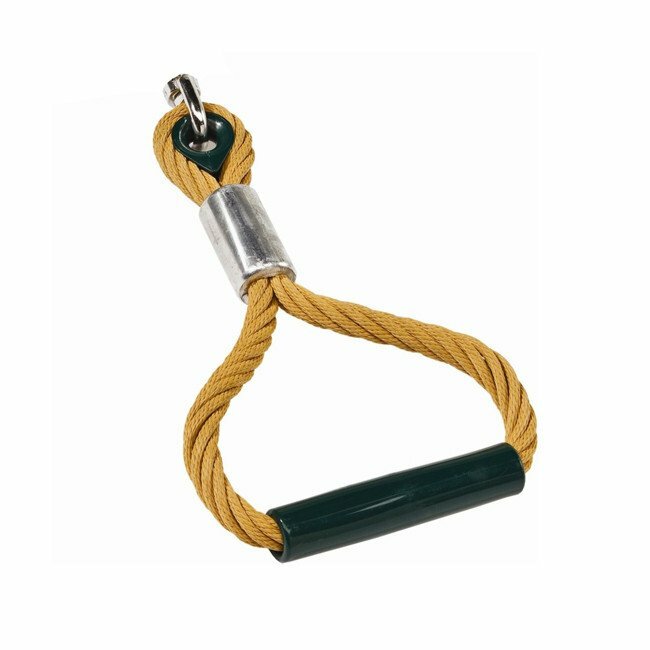 All handle and rope suspension are 400mm long as standard although special sizes can be manufactured if required call our sales office on 01354 638193 or email your requirements. R8-1 - Supplied with a stainless steel shackle for conneection onto an existing eye. R8-2 - Supplied with a M10 x 140mm long eyebolt. Ideal for connection into timber. R8-3 - Supplied with a M10 x 120mm Long stud bolt suitable for connection into either steel or timber beams. R8-4 - Supplied with a M10 x 120mm long eyebolt. Ideal for connection into timber.